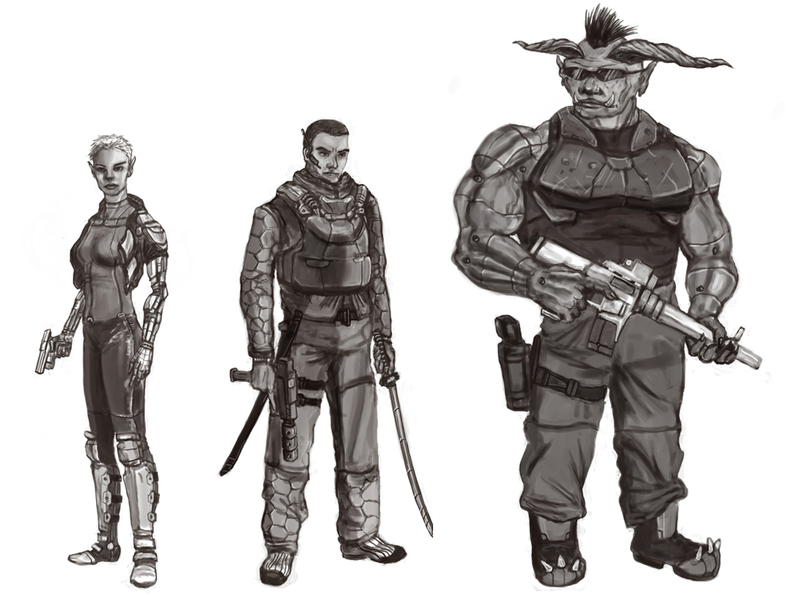 I’d heard bad things about Shadowrun, that the world was much more fun than the system. Fortunately, I played 4th Edition, which made complete sense. Character sheets were heavy-laden with skills and stats, but easy to understand. The system features a straightforward core mechanic: assemble a die pool out of your abilities and roll it against a target number. If you roll a lot of 1s, something really bad happens. The system benefits from many years of evolution. I felt like the system started with a heavy emphasis on crunch, then over time the more complex parts were re-factored out and storytelling elements were worked in. The current incarnation can handle crunch-heavy and crunch-light games with ease. I also had the good fortune to play under an awesome GM. He knew the system, he knew the adventure, and he was completely open to player actions. He listened. We finished in about two hours, which was half of our four-hour slot at Origins. The GM apologized, and offered to throw other stuff into the adventure; we players thanked him and politely declined. We were happy to have some extra time at the con, especially after a fantastic, memorable session. Much better to play a great two-hour session than a four-hour slog. I don’t actually remember much of the system; I mostly remember having a great time. Isn’t that awesome? What kind of PC did you play? Troll bounty hunter. A very smoooth troll bounty hunter. Who took out three soldiers in one shot. This gave me an interesting thought. Should a system strive for remembrance of the system or a great play experience, or both? Seems like this could generate some interesting discussion. That is interesting. Lemme post that on G+ and see what we get.